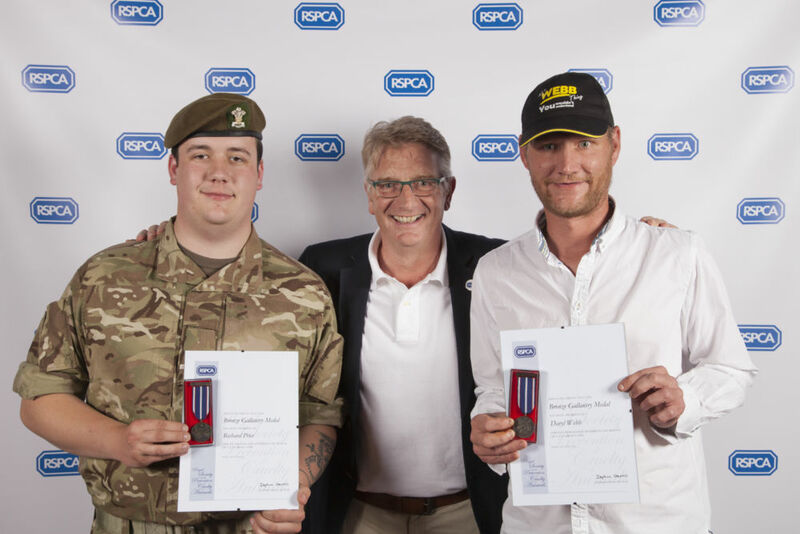 Richard Price from Dyfed and Glamorgan ACF and his brother-in-law Daryl Webb were rewarded with a bronze gallantry award from the RSPCA at a ceremony on Saturday 18 June after saving a pet cat from a burning house. They were driving home through Burry Port, Carmarthenshire, in February when they spotted flames at the home of Kathryn Hayler. Richard dialled 999 while Daryl raced into the house after the owner, who had been visiting a neighbour when the blaze started. The pair managed to evacuate Mrs Hayler from the smoke-filled front room and stamp out the fire which had spread from the blazing curtains, saving Marmalade the cat who was cowering in the corner. Richard, 21, an adult under officer with Burry Port Detachment said: “We could see flames at the window and pulled over to help. The curtains were alight and there was a lot of smoke. Afterwards we saw Marmalade was crouching down on the floor. 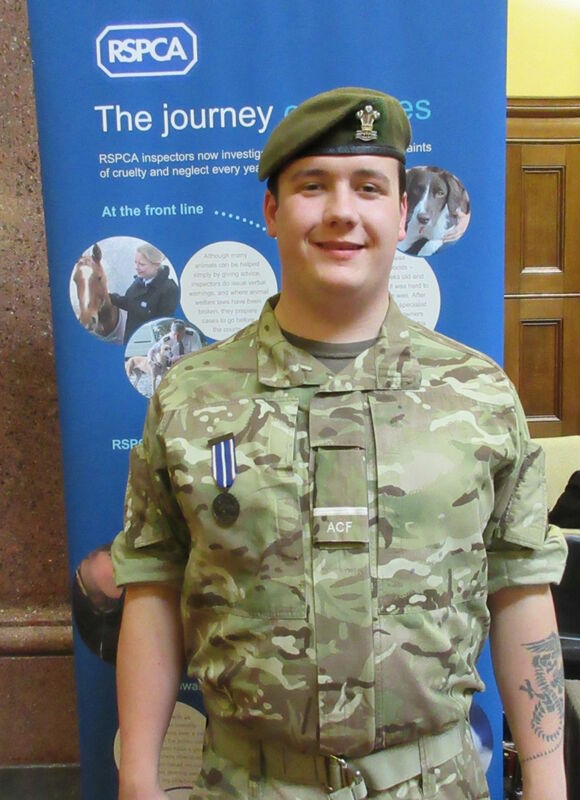 Major Dewi Branch, the commanding officer of Dyfed and Glamorgan ACF, nominated Richard for the award for his calm and professional manner while dealing with an emergency. RSPCA Chief Executive Jeremy Cooper said: “Daryl and Richard showed incredible bravery tackling a fire which was spreading quickly and filling the house with smoke. 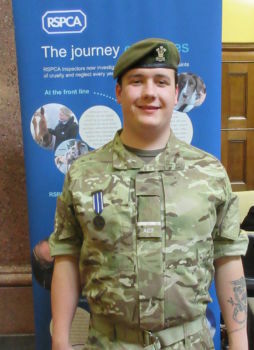 For more than 100 years, the RSPCA Honours have been given to recognise those people and organisations who go the extra mile for animals and help the RSPCA in their goal to end cruelty, protect animals from abuse and further knowledge of animal welfare.